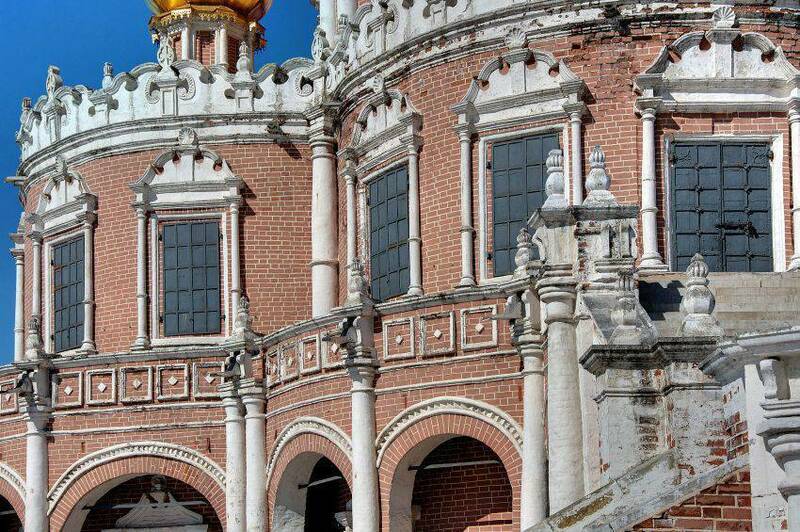 The church is an outstanding Naryshkin Baroque architectural monumentbuilt in thelate 17th-century. 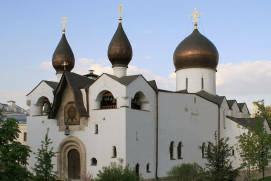 The church features an unusual, quatrefoil-shaped architectural design and a belfry inside with bells hanging in the church’supper tier. 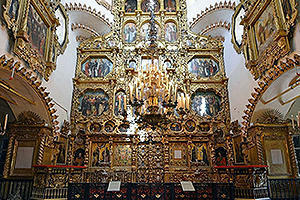 The highlights are the oldest oak altar in Russia and traces of 200-year-oldvault frescoes. 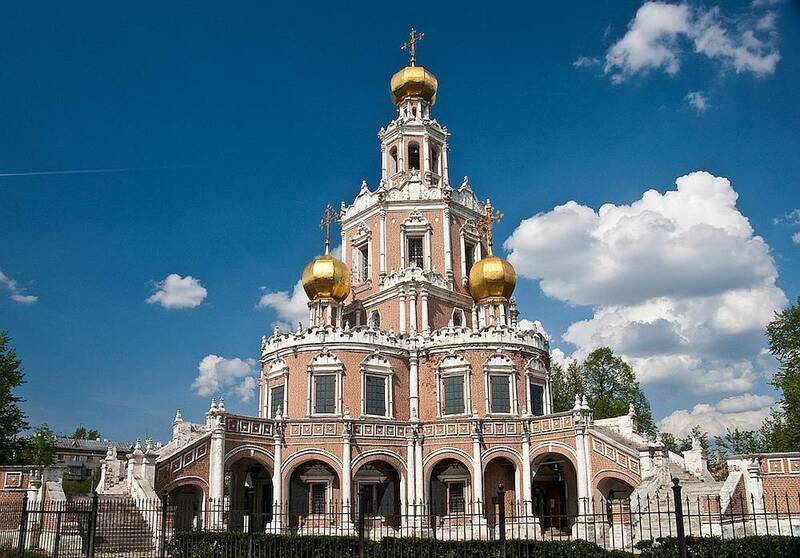 The Church of the Intercession at FiliRussian: Tserkov Pokrova v Filyah or Церковь Покрова в Филях is one of the most notable and beautiful Naryshkin Baroquea particular style of Baroque architecture and decoration that was fashionable in Moscow from the turn of the 17th into the early 18th centuries churches built towards the end of the 17th century. 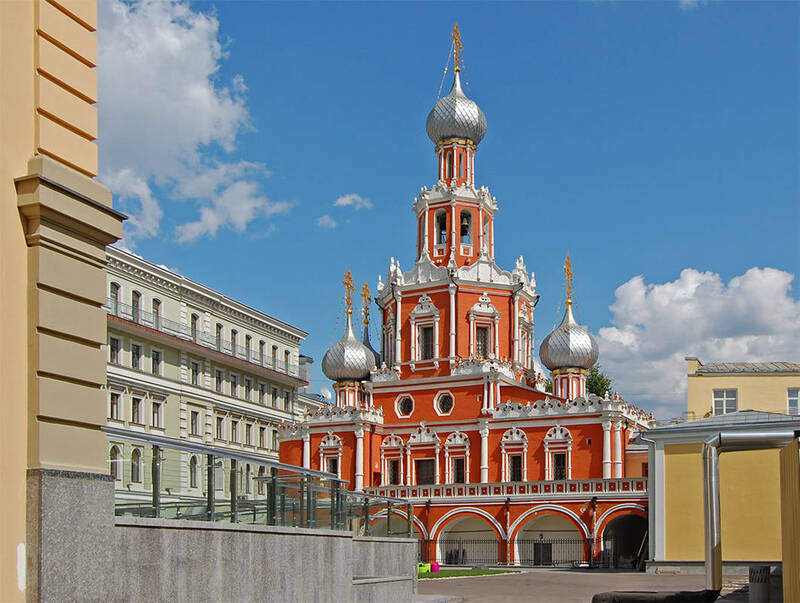 Its many historical twists and turns have seen the building accommodate not only a church, but also a hospital and even a paper warehouse. 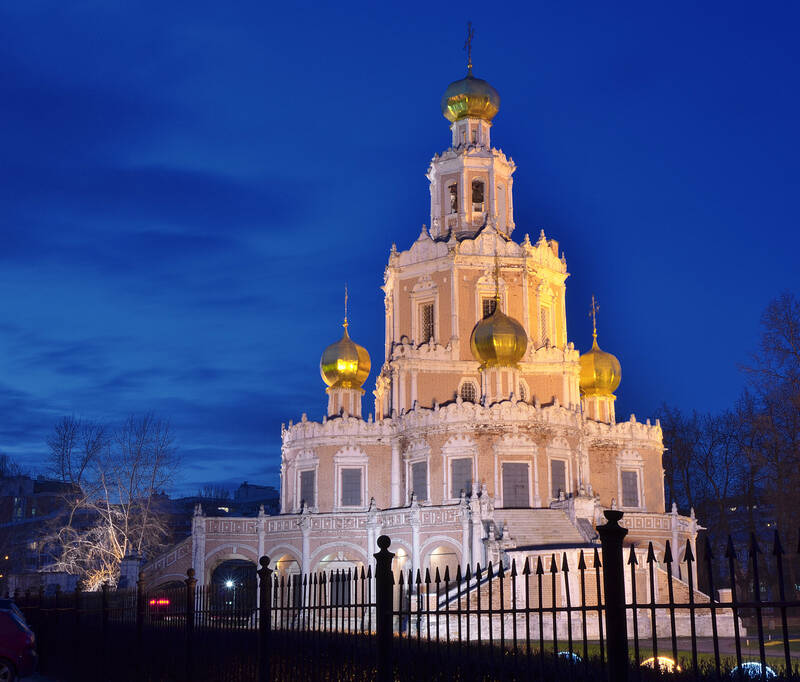 In the 20th century, the church acquired the status of an outstanding architectural monument and was transferred to the Andrei Rublev Museum of Old Russian CultureRussian: Muzey drevnerusskoy kultury imeni Andreya Rublyova or Музей древнерусской культуры имени Андрея Рублева. 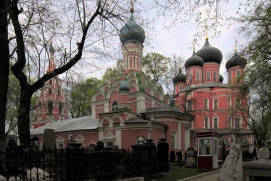 The museum shares its premises with a Russian Orthodox ChurchRussian: Russkaya Pravoslavnaya Tserkov or Русская Православная Церковь that has been holding religious services here since 2000. 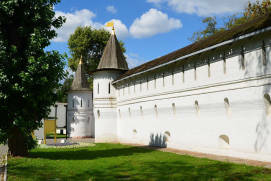 The original wooden Church of the Intercession at Fili was constructed in 1619 to commemorate the Russian victory over Polish troops led by Prince Władisław and the Ukrainian hetman Sahaidachny. 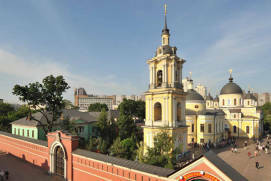 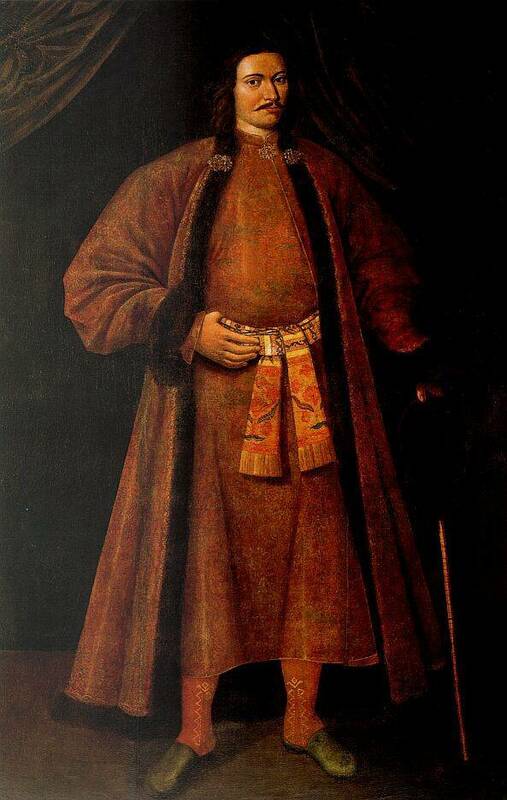 The church was consecrated in the name of the Intercession of the VirginRussian: prazdnik Pokrova Bogoroditsy or праздник Покрова Богородицы on 1 October, 1618, when the Russians defeated the Poles. 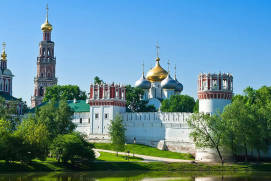 Later, the village of FiliRussian: selo Fili or село Фили came into the possession of Lev Naryshkin, a boyara member of the highest rank of the feudal society in Russia and the uncle of Peter Iruled from 1682 until 1725. 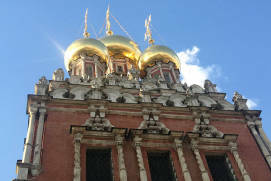 He narrowly escaped death during the Moscow Uprising of 1682an uprising of the Moscow Streltsy regiments, and it was his sister, Natalya Kirillovna Naryshkina, who hid him in the women’s quarters of the palace. 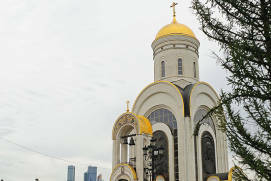 There, Lev Naryshkin prayed to the Icon of the Saviour Not Made By HandsRussian: ikona Spasa Nerukotvornogo or икона Спаса Нерукотворного and vowed to have a church constructed, if he was saved from death. 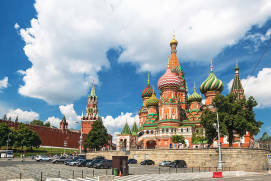 He kept his word. 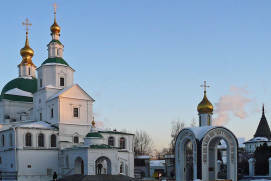 The construction of the new stone church on the site of the old wooden one started in 1690 and went until 1694. 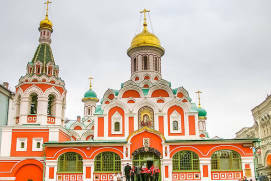 The building is actually comprised of two churches; the winter church in the basement was consecrated to the Intercession of the Virgin, and the summer church above it was dedicated to the Saviour Not Made by Hands. 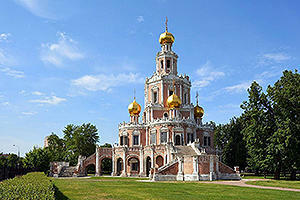 Interestingly, the church was located on the site of the Naryshkins’ private estate and served as their family church. 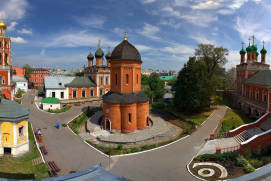 A park was constructed around the church. 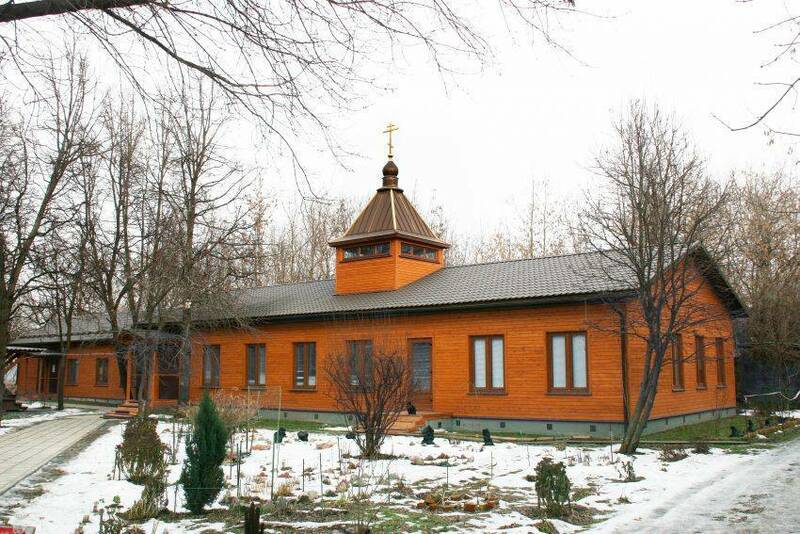 The Church of the Intercession at Fili is all that remains of the Naryshkins’ country estateRussian: usadba Naryishkinyh or усадьба Нарышкиных. 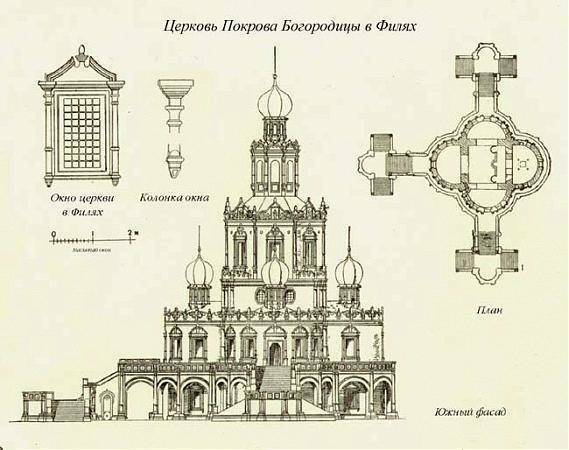 It bears a striking resemblance to the Church of Our Lady of the Sign at the Sheremetyev PalaceRussian: tserkov Znameniya na Sheremetevom dvore or церковь Знамения на Шереметьевом дворе in the centre of Moscow (Block 8, 2, Romanov LaneRussian: Romanov pereulok or Романов переулок), where Lev Naryshkin also had some property. 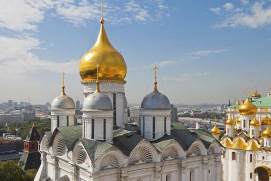 Historians believe that both churches were built by the same architect. 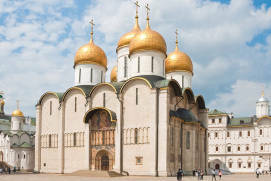 The Church of the Intercession at Fili has an unusual architectural design, as it is constructed in the form of a quatrefoil, with three ornately shaped staircases on its sides. 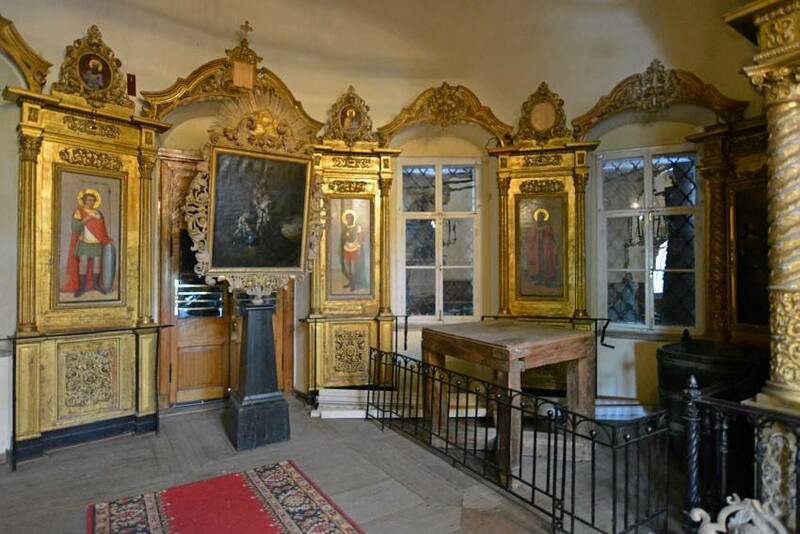 It is of the rarely-seen type which has a belfry inside the church, and bells hang in the upper part of the church. 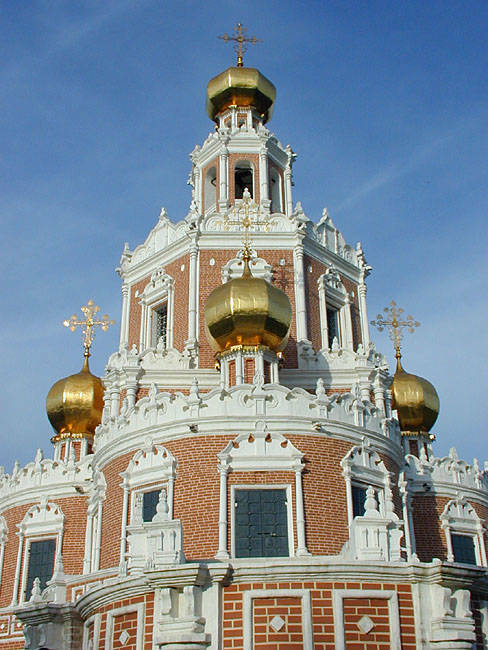 The Church at Fili is five-domed, although the ensemble is dominated by its central dome. 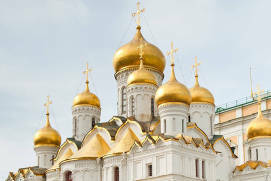 Interestingly, the domes are oriented according to the four cardinal points. 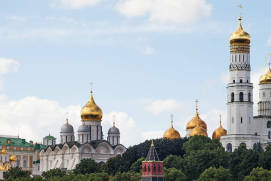 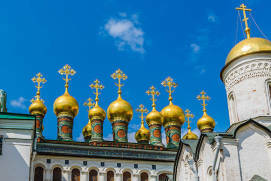 The Russian tradition was contrary to this; normally, churches in Russia oriented the domes diagonally to the cardinal points, according to the roof corners. 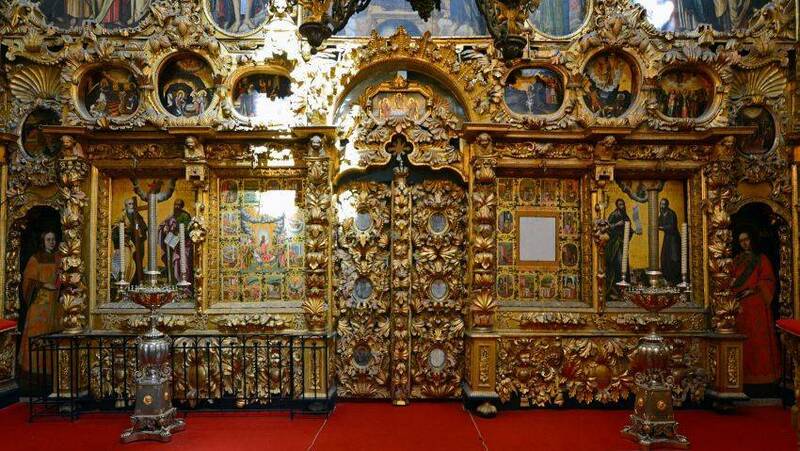 This feature as well as others point to the church’s Ukrainian architectural background. 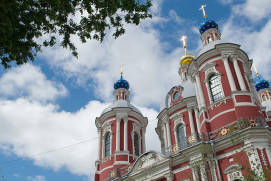 Red bricks and lavish white décor indicate that the church was built in the Moscow Baroque style, also known as the Naryshkin Baroque style, since many churches built in this style were commissioned by members of the wealthy Naryshkin family. 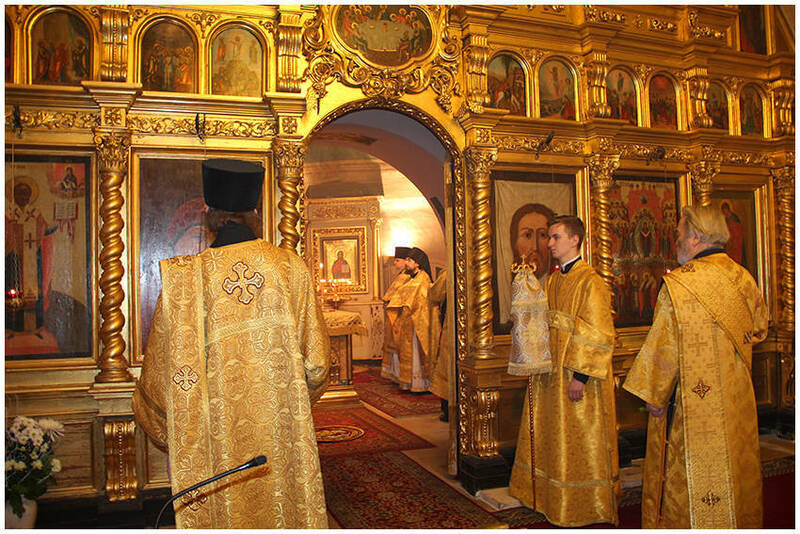 The church at Fili is no exception. 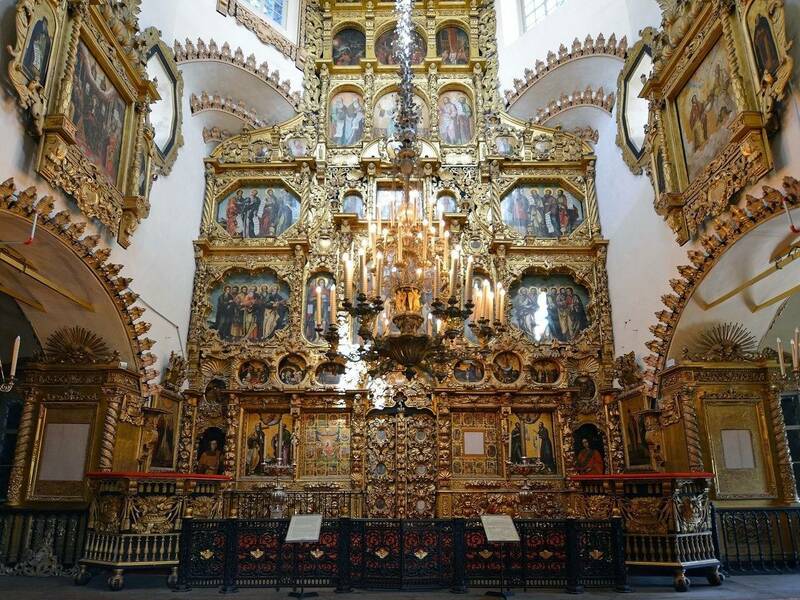 The church’s interior was initially supposed to match its festive and ornately decorated exterior. 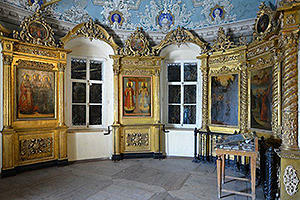 The upper church has preserved most of its décor, including a golden carved altar, the choir gallery and the Tsar’s box. 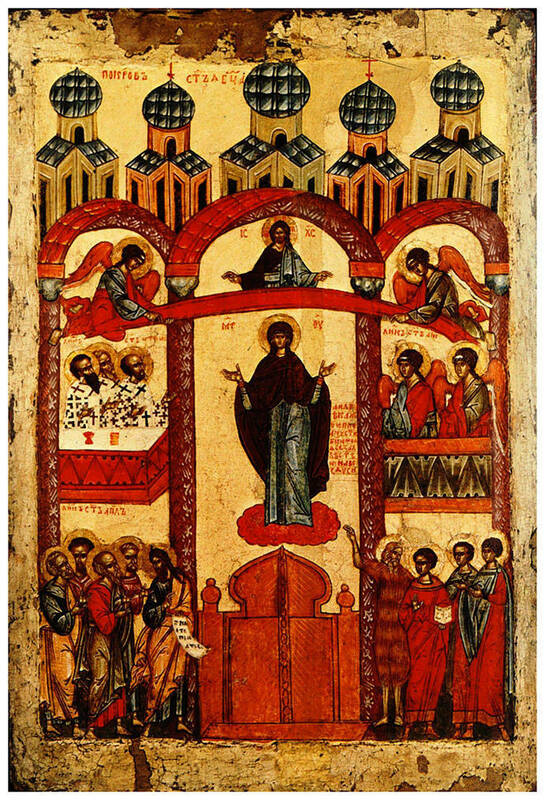 Artists from the Kremlin ArmouryRussian: Oruzheynaya palata or Оружейная палата painted the icons. 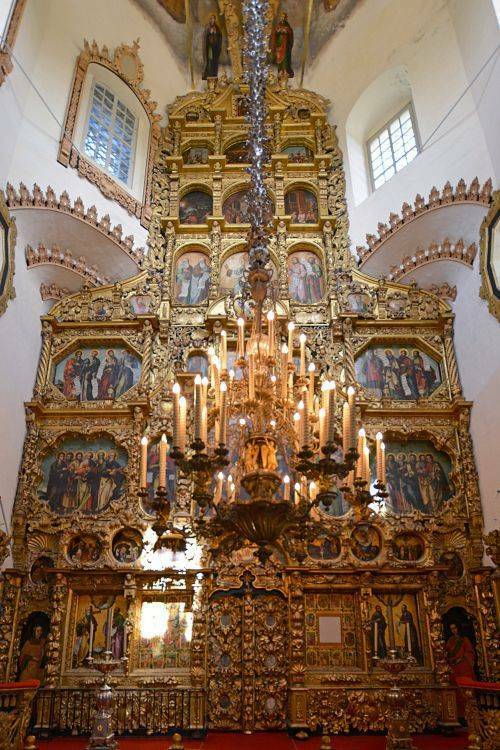 The church’s main icon, The Intercession of the Virgin, and The Three Joys iconRussian: ikona «Tryoh radostey» or икона «Трех радостей» is all that remaiin of the original iconostasis made by K. Zolotaryov in the 17th and 18th centuries. 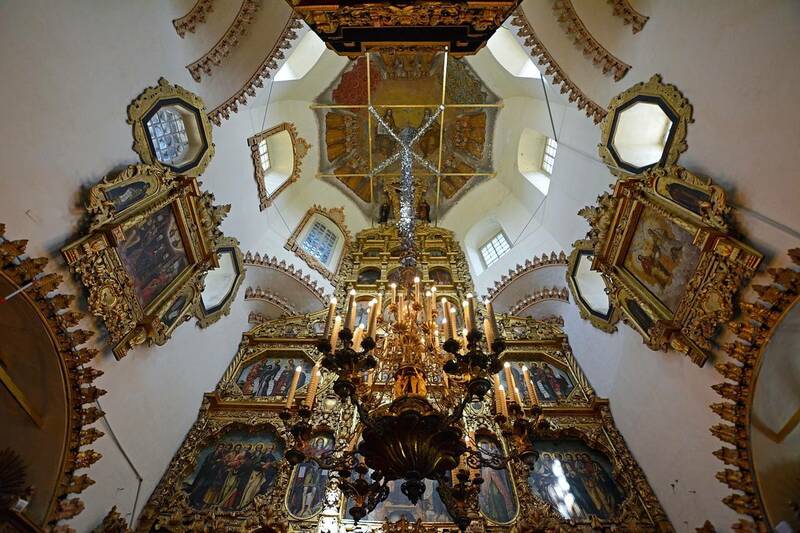 The interior of the lower church was badly damaged during the French army’s invasion of Moscow in 1812during the war between the Russian Empire and Napoleonic France on the territory of Russia. 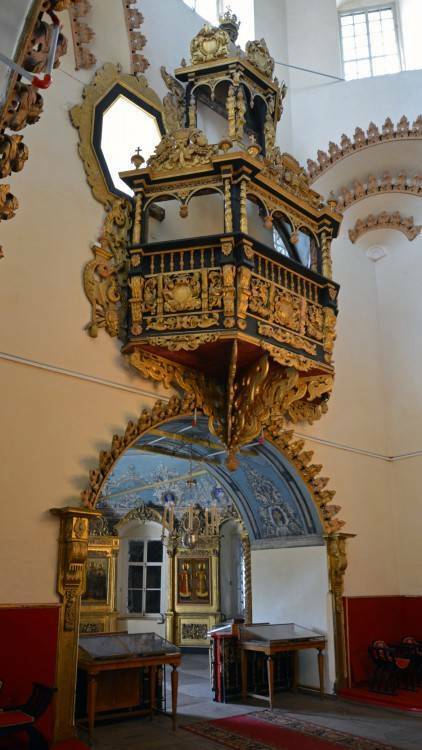 Legend has it that Peter I donated four hundred chervonetsa term for coins of purer alloy to decorate the church and, after his victory in Narvawhen Russian troops captured Swedish Narva in 1704, brought stained-glass windows as a gift to his uncle Lev who thanked his nephew in a special way. 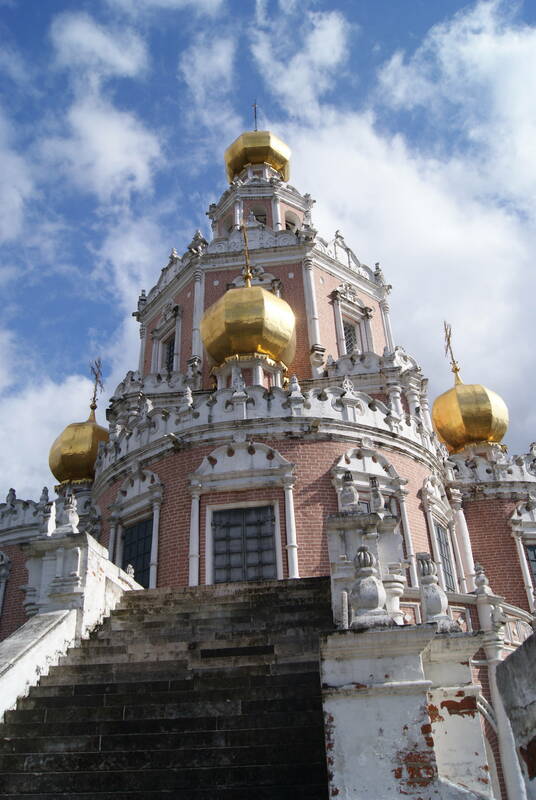 An eagle and a crown, the symbols of imperial power, decorate the church’s western and central domes, and some researchers believe that the face of archdeacon Stephan, depicted on the doors of the credence table, strongly resembles young Peter I. This sight is located far away from the city center, and it is comfortable to use a taxi to reach it. 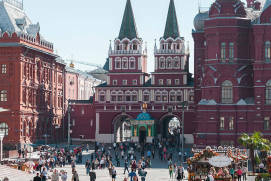 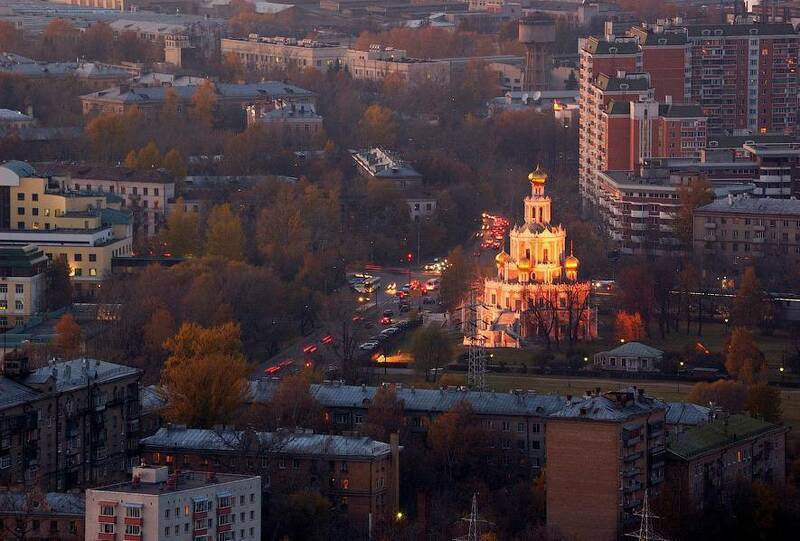 If you are interested in Moscow taxi rates, you can read about it on our website page “Taxi in Moscow”. 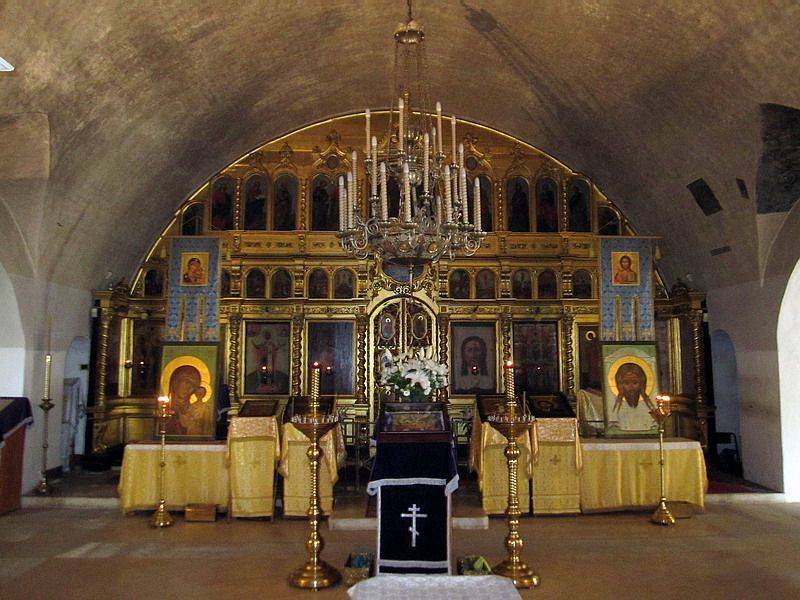 The last religious service was held here in July 1941, right after the start of the World War II. 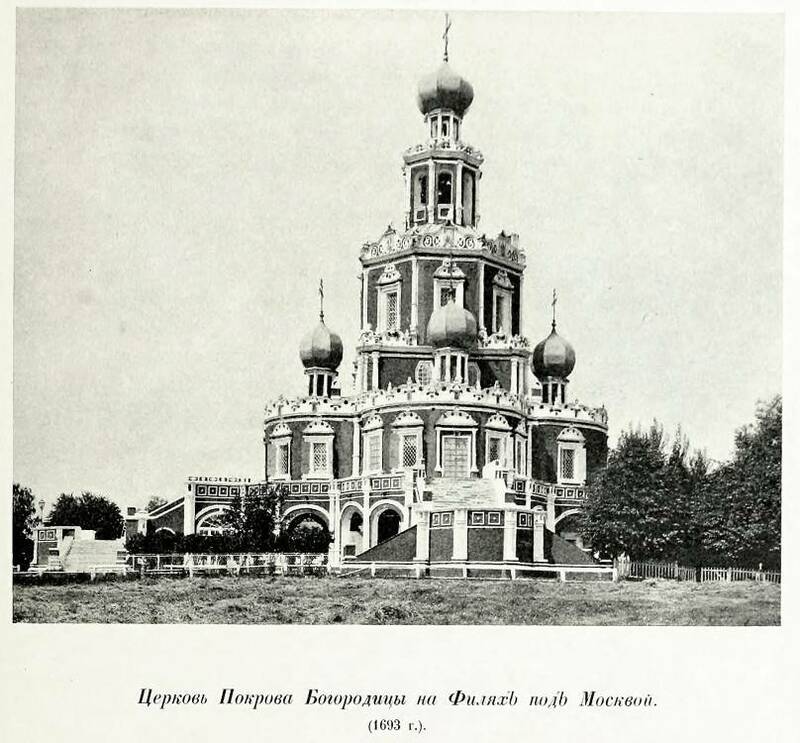 The domes and the octagon’s top tier were dismantled for the purposes of concealment and the lower church served as a hospital during the war. 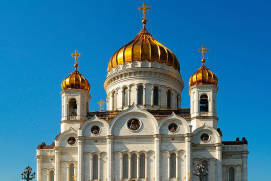 Restoration works started in 1952 and continued intermittently until 1980, when the church was opened as a subdivision of the Andrei Rublev Museum of Old Russian Culture. 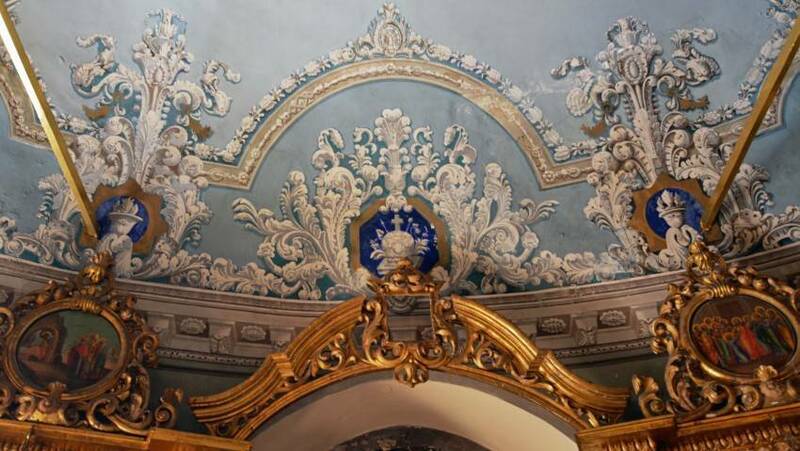 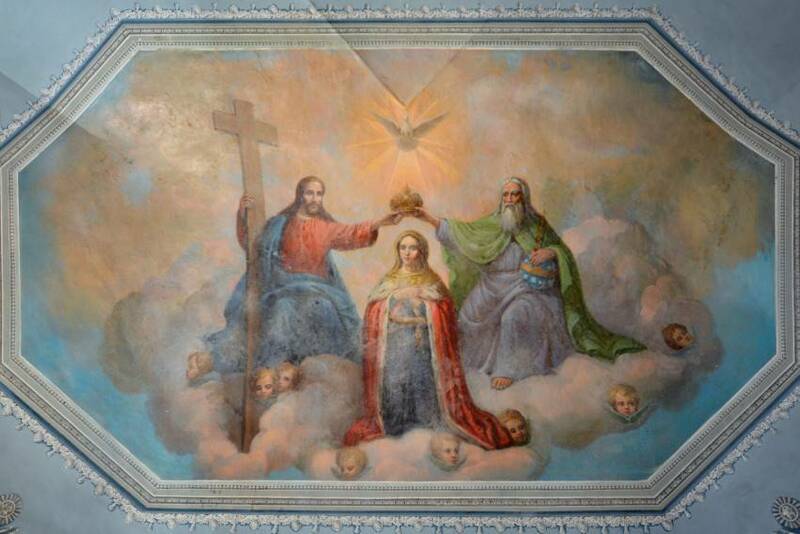 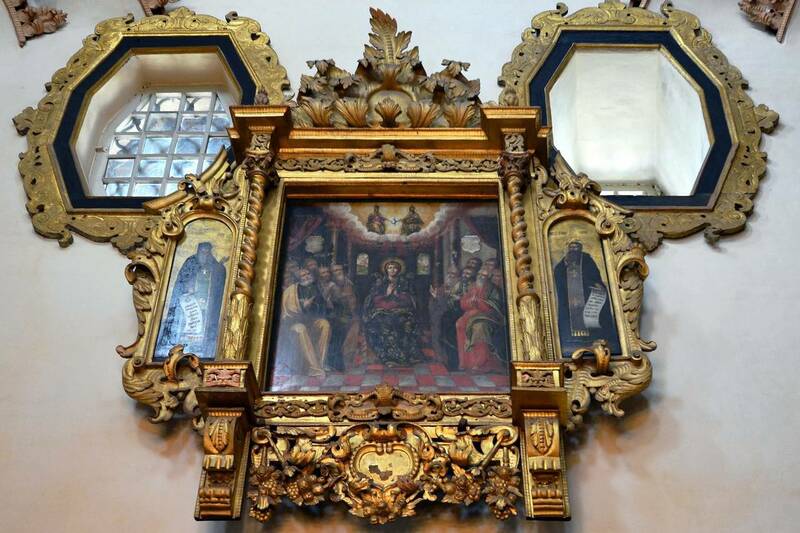 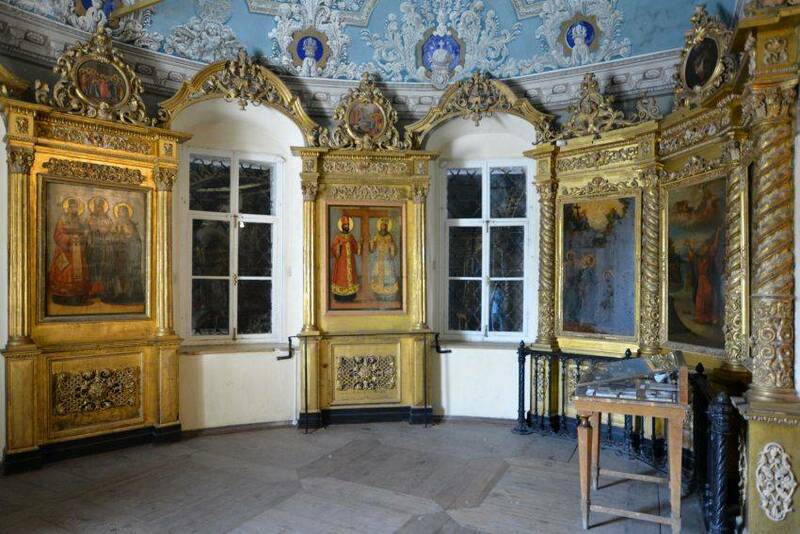 I. Ilyenko and E. Mikhailovsky made a major contribution to the restoration of the church. 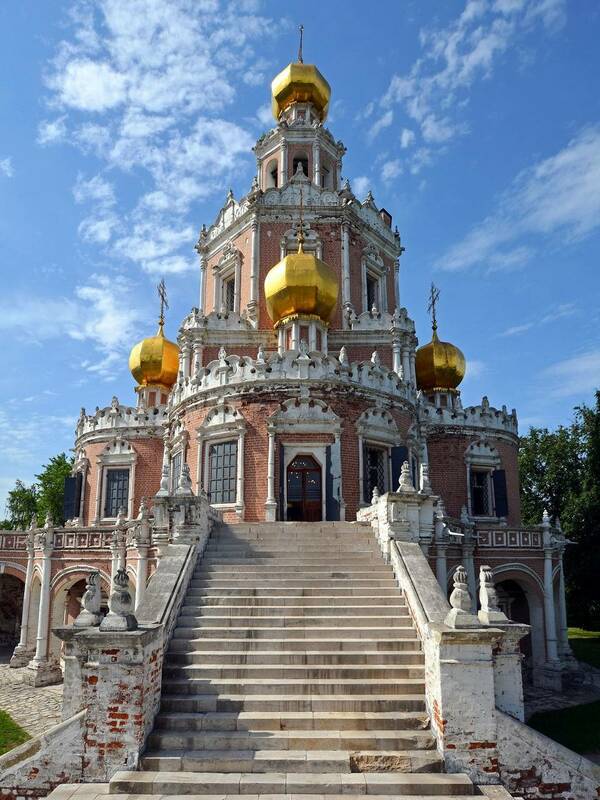 The church contains an ancient oak altar, one of the oldest in Russia, and the vaults preserve traces of frescoes that are over 200 years old. 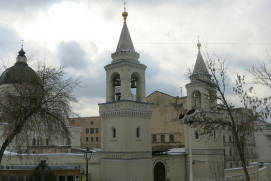 The parish has been revived since 1991, and the building itself has been shared by the museum and the Church. 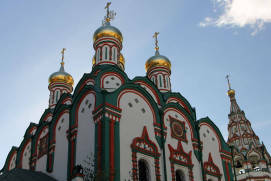 Religious services are held in the lower church, and a Sunday school is open to children. 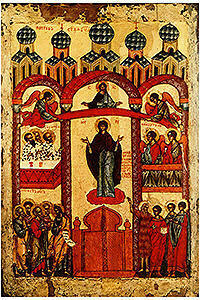 According to the schedule of worship services. 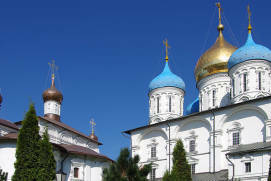 A children's Sunday school works at the church.